The Watchman Sonic power supply unit/ display meter in the kitchen threw a wobbly. It was blinking in a funny way – see video. 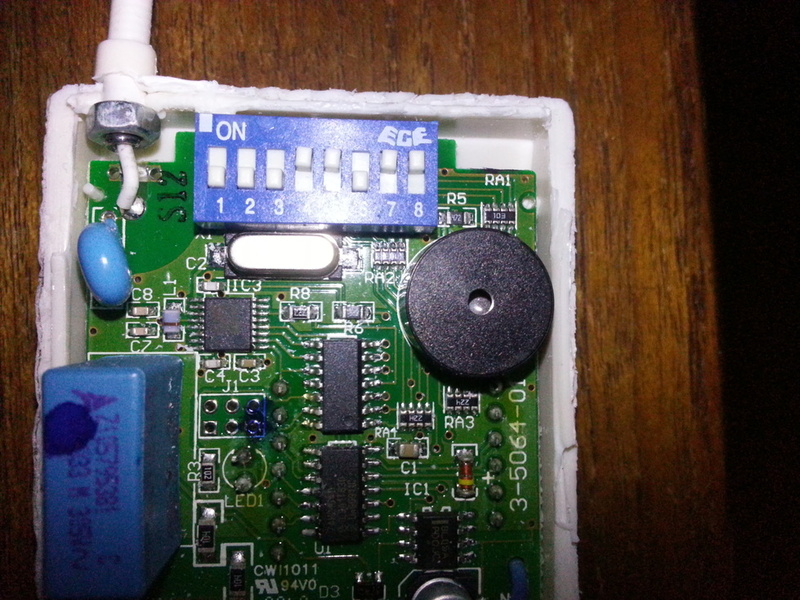 So I tried re-pairing the part that goes on top of the tank with the power supply/display meter a number of times. The first time I tried this a few months ago it worked. Then I had to do it again a month or so later and it worked. Then a month or so after that it would not pair at all! So I cut all around the edge of the power supply gently with a hacksaw and got inside. 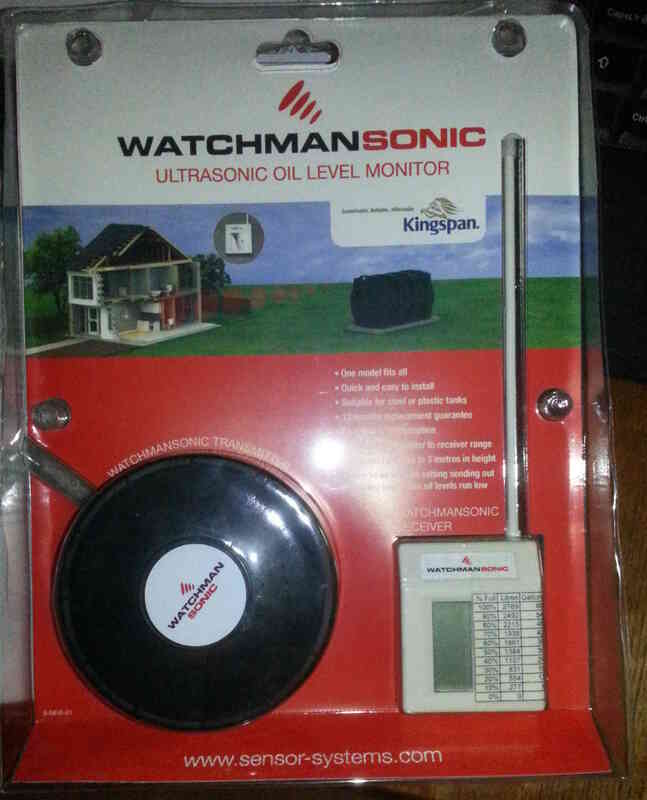 So I bought a new complete Watchman Sonic as a replacement. Then paired the old part that goes on top of the tank with the new wall power supply/display meter. Those parts, old and new, are now working together perfectly. So I know the problem is with the old wall power supply/display meter. 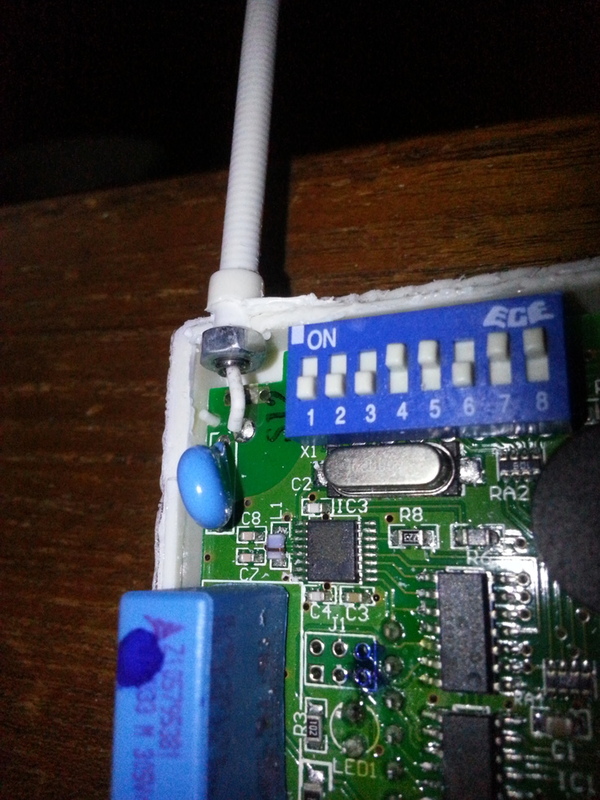 can anyone suggest which component(s) have failed (lots photos below) ? Bear in mind the parts that have failed made a slow failure as described above. Capacitor? Still not sure, and can remember little of my electronics. Looking forward to your replies ! 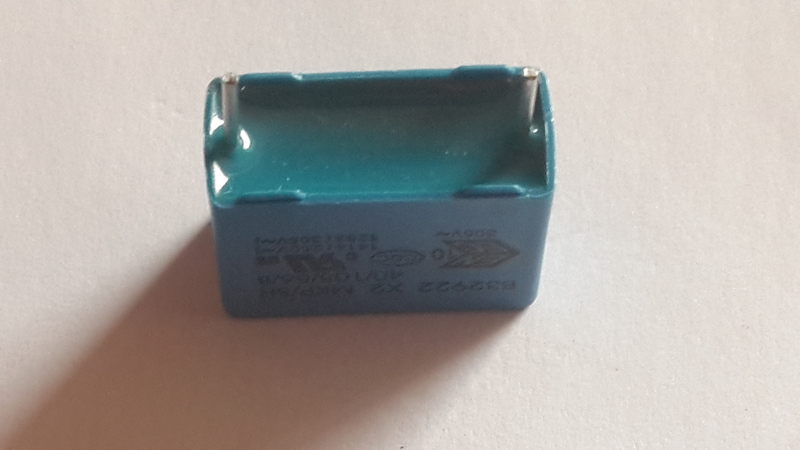 Turns out that this component (photos below), after searching http://uk.rs-online.com/web for “B32922” (as shown on component) is a 305V polypropylene film capacitor. The film will have failed (slowly, which fits with what was observed above). and the choices of capacitance offered on the RS site are 0.047µF, 100nF, 150nF, 220nF, 330nF, 470nF, 680nF. seems to suggest (?) 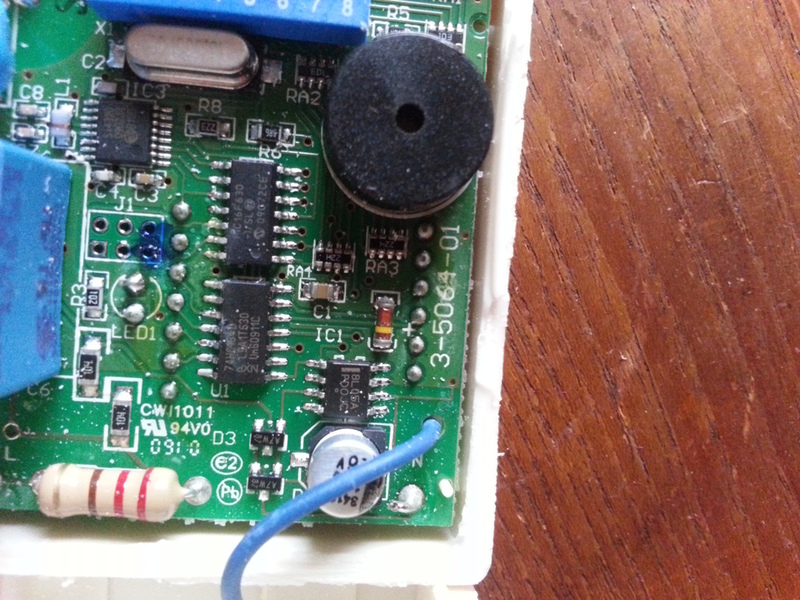 this capacitor part may no longer be made. So the offerings on the RS Components site may be incorrect as far as a replacement goes. 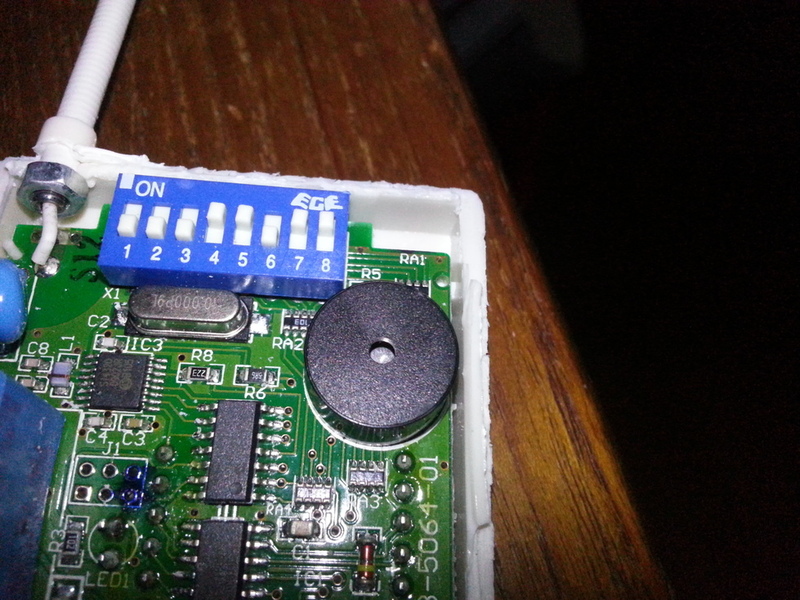 I cannot identify the component properly from the three above photos. Anyone who understands the codes on the device able to do this ? 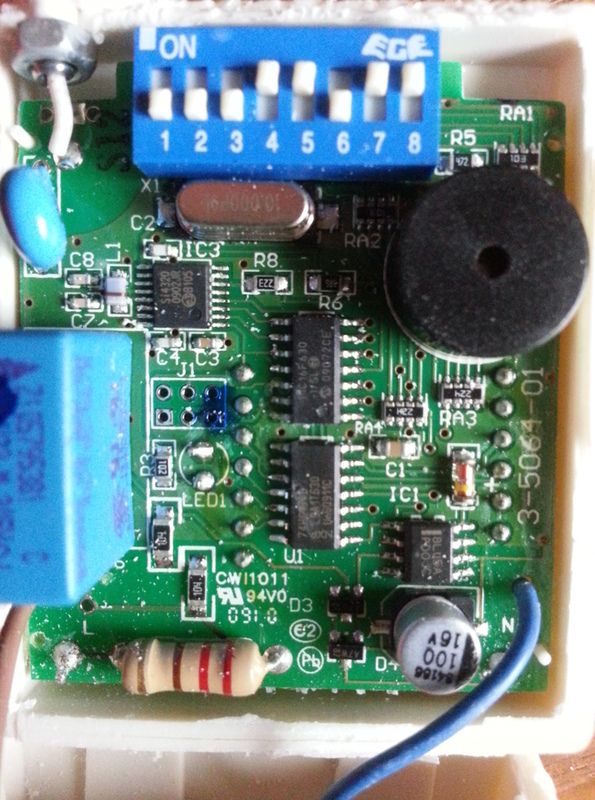 the capacitors in the EPCOS beginning part number B32922 all vary slightly in size. The capacitor device size I measure on the Watchman sonic, as best I can is : 17 mm x 7.5 mm x 13 mm, with a lead spacing between the two pins underneath the device of 15mm. 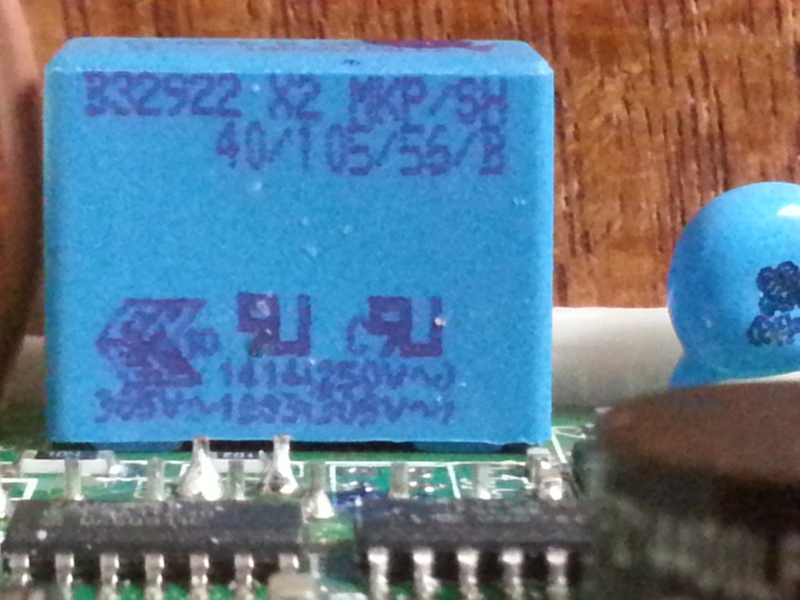 While the top of the capacitor is clearly marked “33 M 305V” indicating a possible 0.33uF device the size is closer to the 0.22uF. The devices are cheap. Brand = EPCOS, Part No = B32922C3334M000, Description = CAP, FILM, PP, 330NF, 305VAC, RAD, Farnell order code = 1112844, cost each = £0.40. Brand = EPCOS, Part No = B32922C3224M, Description = CAP, FILM, PP, 220NF, 305VAC, RAD, Farnell order code = 1112842, cost each = £0.37. an exact size comparison with existing device should give away the correct replacement. Farnell web was £20 minimum order and couldn’t think of anything else to order to bring the price up. This part, B32922C3334M000, just arrived by post. The 0.33uF capacitor. It’s the same size as the existing. So I got the soldering iron out, removed the old one, fitted this new one, taped the unit back together, switched on, and IT WORKS perfectly !!! If Ur interested to know the purpose this capacitor serves on the circuit board have a look at this simple explanation from St Andrews Uni. suggests that “A researcher is suspected of having taken the secret chemical composition of a new low-resistance, inexpensive, water-containing electrolyte when moving from Japan to Taiwan”, thus explaining all the early device failures. 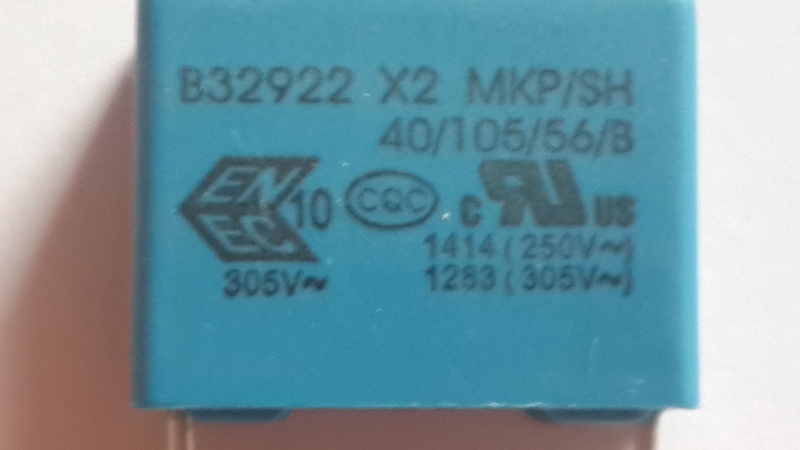 EPCOS, http://www.epcos.com, the manufacturer of this capacitor is a TDK company and whether the original, or even the newly purchased replacement capacitor, is of an old batch made in Taiwan with a defective electrolyte formula is not known. 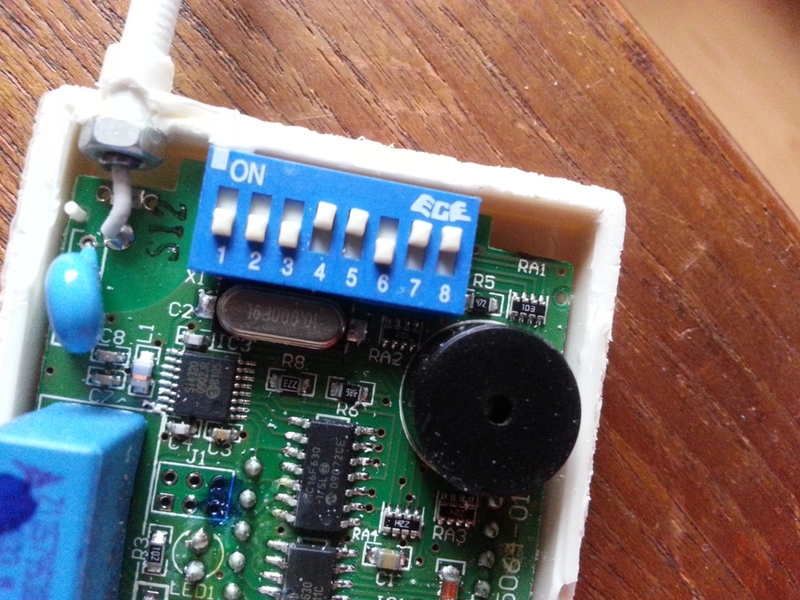 If the new replacement fails I will source a different : much higher spec, upped voltage capacitor, replacement. 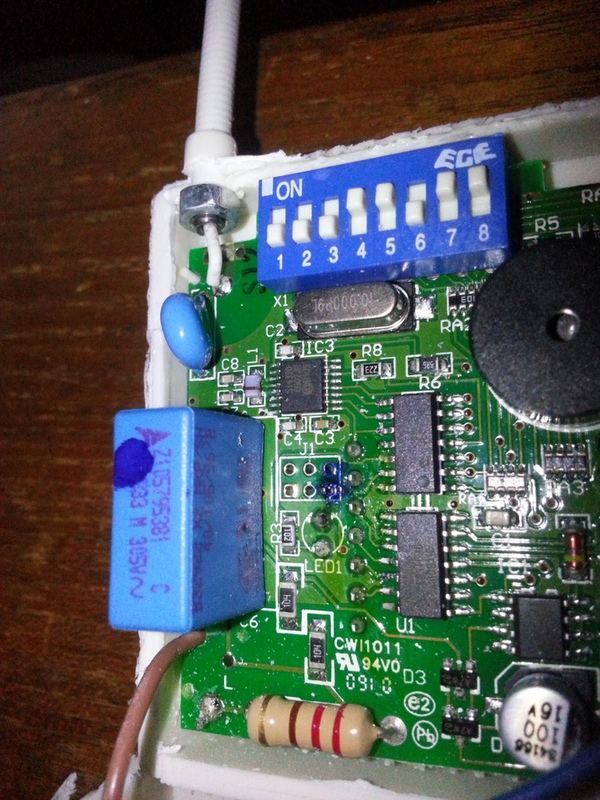 This entry was posted in Home Automation and tagged broken, failure, fix, meter, problem, reading, repair, Sonic, Watchman, WatchmanSonic. Bookmark the permalink. Hm, thanks for the photos. I have a working one of these and I was pondering how to hook it up to a home automation system. From your photos I see it’s using a Si4320 FSK receiver. Probably in ‘standalone’ mode where it’s fairly dumb. Have you done any more investigation? Do you have any use for the no-longer-broken one? I was baulking at buying a whole new one just to play with it but if you’ve got a spare one you don’t need and have already disassembled…? I was going to put it on ebay as I managed a full repair and re-assembly; I never got round to it. I have no idea how to hook it up to home automation. I do however run an arduino ATMega2560 with ethernet shield, connected to the home network (and via dydns to everywhere else) that allows me to control much of the house lighting via the arduino served web page. I have intended to replace the Honeywell heating controller and the radiator thermostats with auto wireless TRV’s though time and other projects have beaten me there. The watchman sonic; I think it is just a matter of decoding the received FSK signal from the TX on the top of the fuel tank, after sorting out what the pairing does. I imagine the pairing simply allocates to both the TX(tank measurement) and RX device(meter) the same 8-bit code from 256 anti collision possibilities (avoiding confusion between neighbours watchman sonics). I don’t know that chip. Is the TX/RX freq 433.92MHz? If you use a software oscilliscope (simple RX receiver wired to audio in jack with Audacity) and get the code sequences pls post up. Firstly, there’s another teardown at https://hackaday.io/project/1548-rocket-receiver-teardown with a little more information. As it happens, I have just this moment bought a spare receiver from eBay to play with. Yes, the Si4320 is capable of 433.92 MHz. 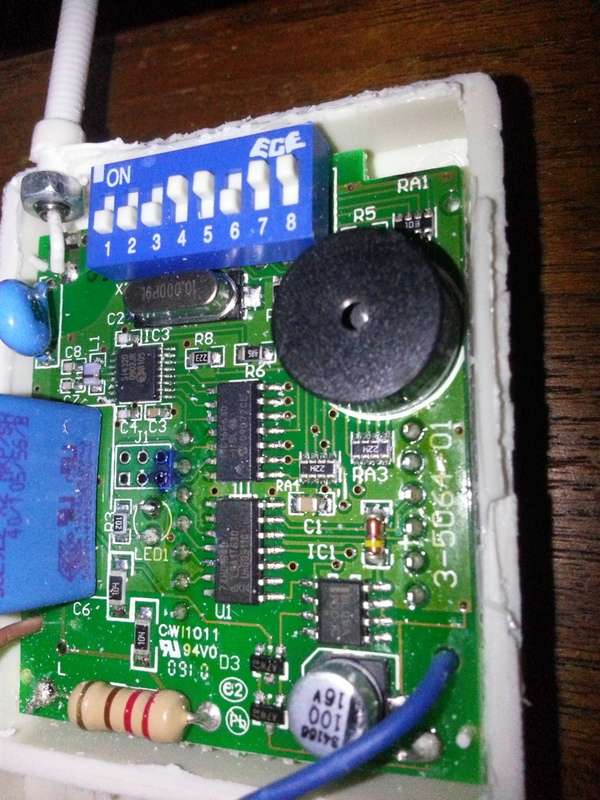 It is controlled from a PIC over a SPI connection. It should be fairly simple to sniff the serial traffic and see precisely how it’s configured. You can also buy identical modules (RFM01-433-D) which can easily be connected to an Arduino or something else. In fact I’ve just bought four of them because I couldn’t buy only one at a time. If you want to email me your address, I can shove one in the post for you (for free). Once I’ve sniffed the traffic on the new unit that will arrive soon, it should be relatively simple to hook up an RFM01 to an Arduino and listen to what the sensor is sending. I was originally planning to run wires for 1wire temperature sensors and wired radiator actuators in every room, but the Honeywell system seems to do the job relatively well. A friend has it, and he convinced me that battery-powered actuators and wireless communication *weren’t* the constant pain the the arse that I had suspected they would be. Dammit, I was impatient and way trying to use simple probes instead of waiting for a proper SOIC probe that clips on. 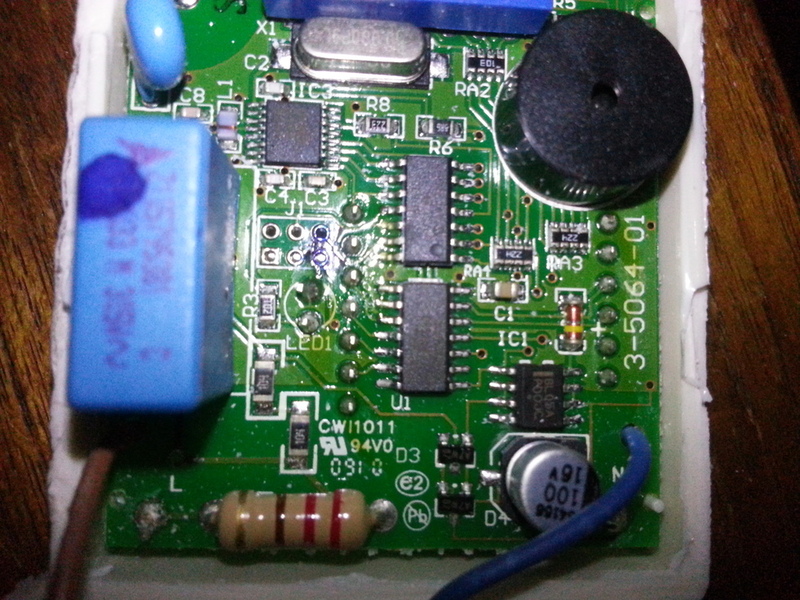 In the process, I managed to blow up both my new receiver *and* the Bus Pirate I was trying to use to sniff the SPI traffic. Now I’m back to looking for another receiver on eBay but there don’t seem to be any cheap options at the moment. How much would you want for yours (assuming I throw in a RFM01 unit as part of the payment)? 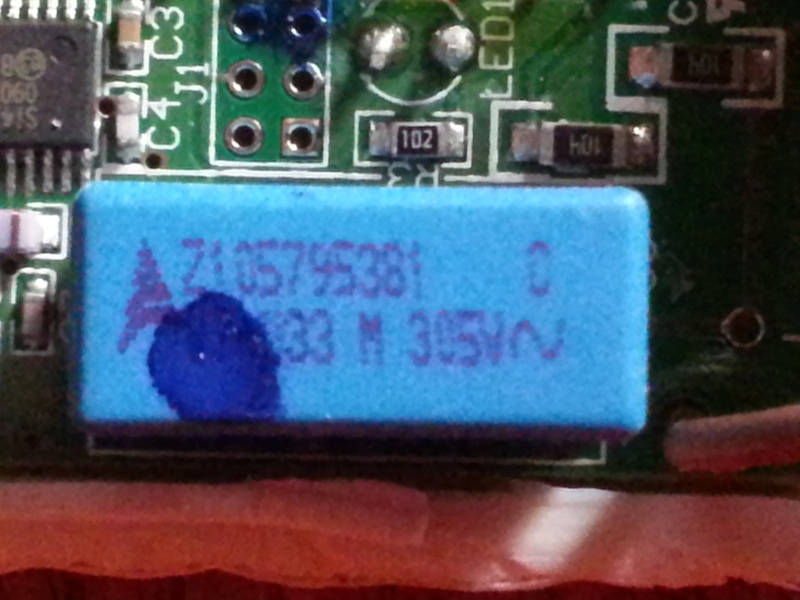 Do you have any info on packets that come off the Watchmansonic 433Mhztank transmitter? Sure. It’s supported by rtl433 now. See https://hackaday.io/project/1548-rocket-receiver-teardown for all the fun details. Replying with a different account so it doesn’t sit in moderation… yes, rtl_433 supports it out of the box now and it’s been feeding tank levels into Domoticz for me for a over a year now. I got the RTL-SDR (newest one I think) out the other evening and tried it. 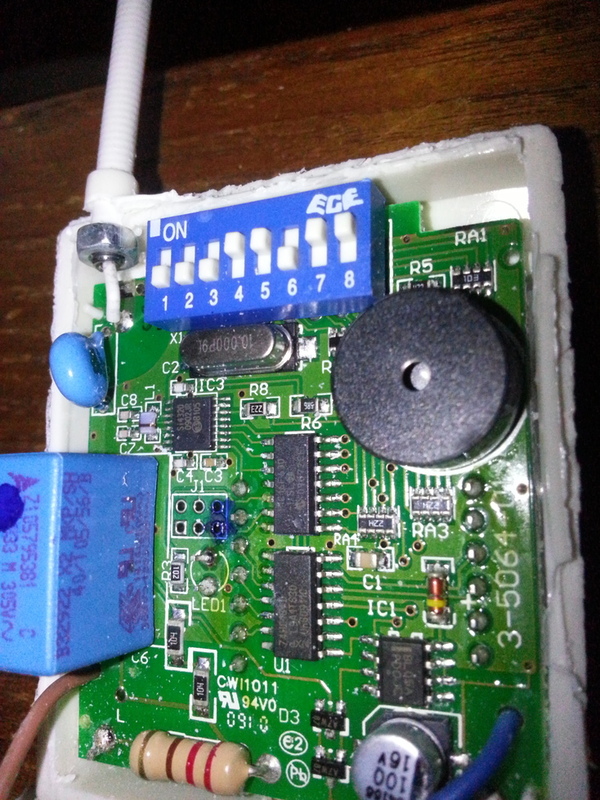 I got it so I could at some point get round to sniffing the packets off a Honeywell wireless CM927 central heating controller, so I could replace it with a PID one with web interface. Never had time. I did not see anything. Perhaps I have the command wrong or am too far away and need to bring the transmitter beside the computer for testing. and Arduino. If and when I do I will post instructions. I use one of those 433MHz TX’s already with an arduino mega and ethernet shield as a web server to set various sockets and wall lights on/off as I click the link on the page. I tried Domoticz and couldn’t get it going on Lubuntu; looks good. Ok. I got this. How to interpret? Any brief pointers would be useful. I don’t see the tank level/ acoustic sensor encoding. ps think I’m better with Manchester pulses off a software oscilloscope. I can meaningfully read those. Knocked off the -A above and got some sensible output. David your Hackaday write up is absolutely great as is your C module contribution to rtl_433 that lets this run. Thank you. I can see that the right most column (below) is the level with a range 0-299.
but could not get it to show any temperature response by holding it with my fingers. Yet to figure the rest out. Below data is for the same watchman sonic tx – rx pair. I paired it a few times while collecting data. 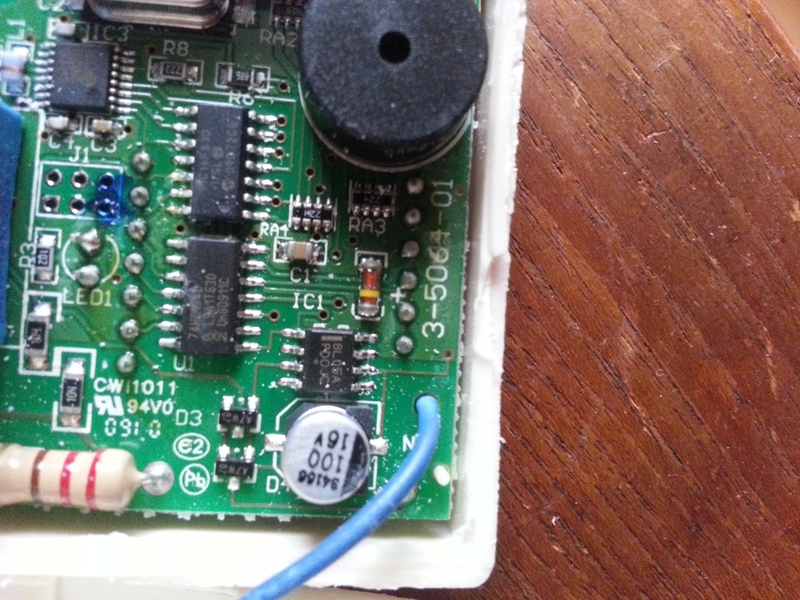 Going to go later and try to get some data off the other tx- rx pair I have; the actual tx on top of the oil tank and the rx in a wall socket in the kitchen. (I have numbered the above bytes shown in square brackets  for convenience). I have numbered the above with square brackets  for convenience. 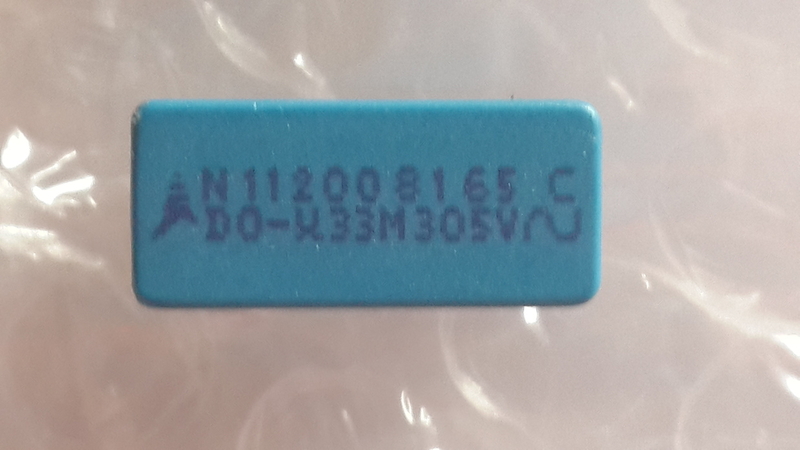 This numbering does not relate to the byte acount above. SC101K means that it is a 100pF capacitor with +/-10% tolerance. 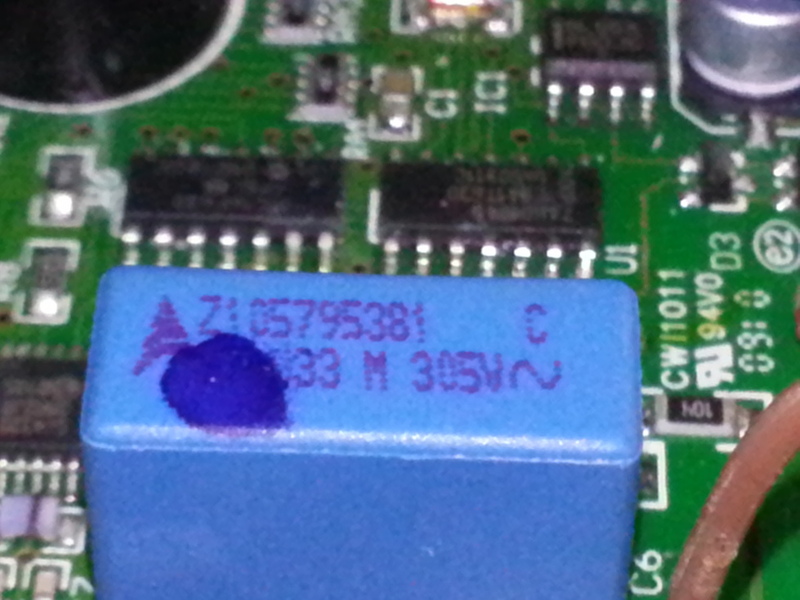 I think I see there 25V ac not 250V ac, on my capacitor, though I could be wrong. It’s a 250V ac one, which the original may well be since the writing on it is a good deal less than clear. 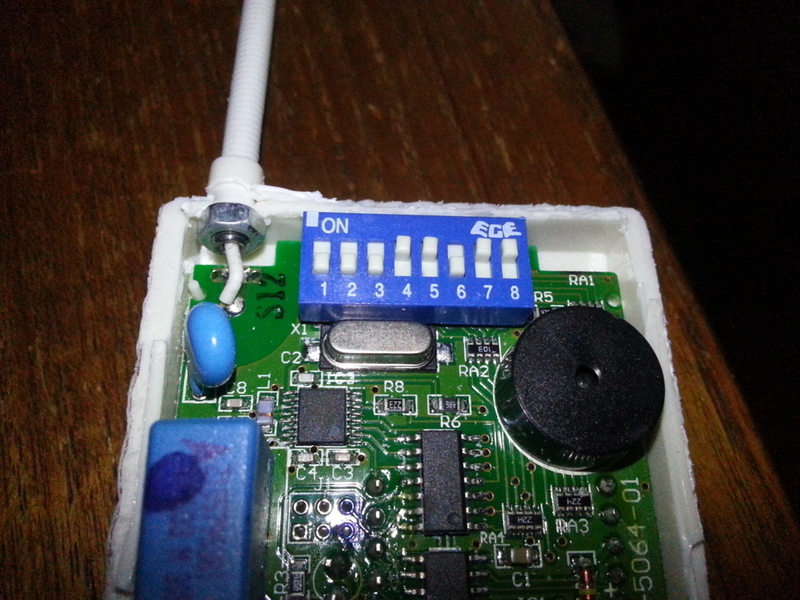 ……..so I need a blue thing to fix mine …now just need someone who can solder. I have three broken ones 🙂 Didn’t understand most of this, other than the eBay link to “Its fixed” What I did understand was interesting. Thank you. 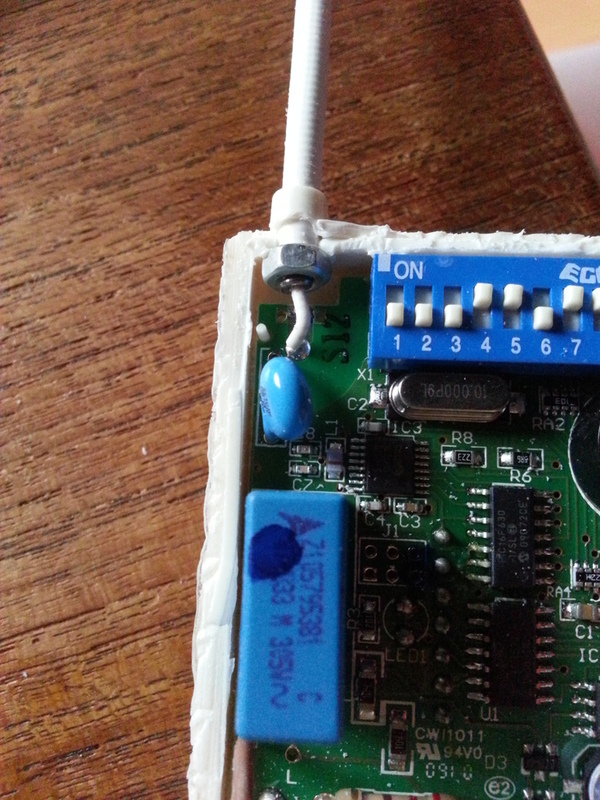 Mostly it is the capacitor that goes and needs replacing. See “>>> UPDATE 3 , Tue 14/10/2014 <<<" above. Soldering is not that tricky. There are plenty youtubes that show how.